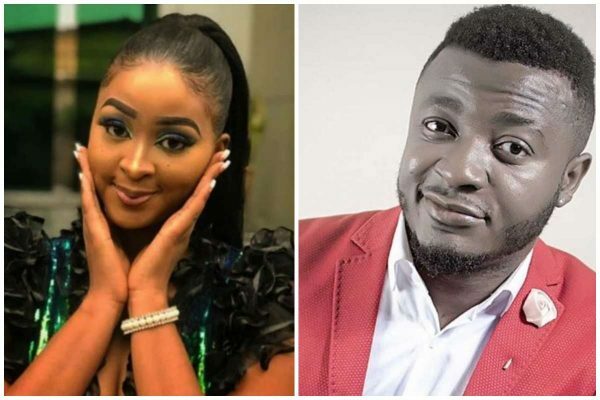 Nigerian actress, Etinosa has opened up on why she removed her pants and bras on singer, MC Galaxy’s live instagram video. The actress/comedian, said a big issue weighed down on her which she could not handle in a more appropriate way. 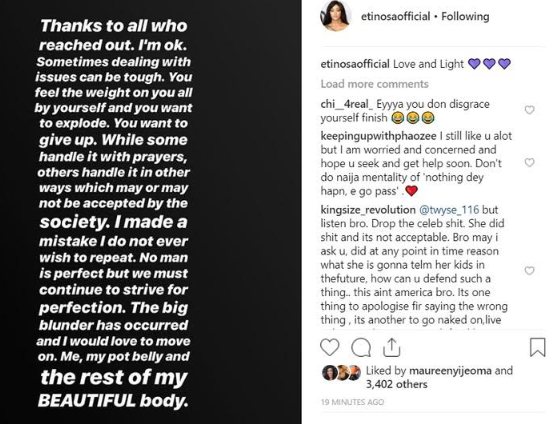 However, in a Instagram post on Saturday night, she wrote, “Thanks to all that reached out. I’m okay. Sometimes handling issues can be tough.